I don’t intend to tell you here which investment approach is correct. And here, I don’t distinguish between growth and value investing. This just describes my own evolution as a trader/investor over time, moving from charts to fundamentals-based investing. You may have observed different things and may have come to a different conclusion. That’s cool. And yes, there are credible people who swear by charts, and I’ve known some of those people too. This is just how I evolved. When I first started out in the business, I was in a department that managed portfolios and set investment strategy. I read a lot of investment books and I really got into technical analysis (even though Intelligent Investor was one of early books I read). The idea was appealing to me; that all information is already reflected in stock prices so all we need to do is to study price action. No need to go digging into financial filings and read annual reports; everything is already reflected in the stock price! The idea that you can draw lines on a chart with a ruler and predict what will happen was highly appealing to me as a young analyst starting out. I also did a lot of quantitative work too, but mostly screening and ranking stocks according to standard deviations off of this or that average, creating multi-factor valuation models for the whole market etc. I went around visiting the largest institutional investors making presentations based on technical analysis, saying things like, “if this sector breaks this trendline, it’s all over…” etc. It was incredibly fun to do. When I say “technical analysis” here, I mean things like trend lines, moving averages, RSI and other oscillators, formations like head-and-shoulder tops, descending triangles and things like that. I also worked at one of the large hedge funds that was heavily into technical analysis. I was still big into charts at the time as were most people there. While I was there, I got to read just about every newletter that was published, many of them technical analysis related. It was interesting that nobody was ever really right often enough to be useful. Some of the prominent newsletter writers started their own funds; most of them blew up relatively quickly. Of all of the prominent technicans, nobody that I know of had a real, audited track record of actually making any money with what they preach. This was the beginning of my doubt about technical analysis. There is an old adage that on Wall Street, you never meet rich technical analysts. Or that the rich ones have made most of their money from selling books and/or newsletters. When you go to the bookstore and look at all the books about technical analysis, you will notice that none of them are written by people who have successful, long-term track records. The bible of technical analysis, for example, is Technical Analysis of Stock Trends by Edwards and Magee. Who are these guys? Do they have a track record of performing over a long period of time? Check out the value investing equivalent: Securities Analysis by Benjamin Graham. Benjamin Graham has a long term track record of high performance, and he has disciples that have continued to perform well using his ideas. Other more recent books are Margin of Safety by Seth Klarman and of course, You Can Be a Stock Market Geniusby Joel Greenblatt. They both have impressive long term track records. Where are the equivalent people in the world of technical analysis? Borrowing Warren Buffett’s concept, “Where is the Edwards-and-Mageeville of technical analysis?” (Warren Buffett wrote an essay about the Superinvestors saying that they all come from the same village, the village of Graham-and-Doddsville, meaning that they all share the same investment concept as taught in the Graham and Dodd Securities Analysis book). The more I thought about this, the more I observed, and the more I read, the iffier technical analysis got. As I watched professional traders, it seemed to me that the ones that relied a lot on technical analysis actually didn’t make money. I have never been an FX or bond trader, so I don’t know about them, but most people I observed trading off of charts didn’t seem to make money. The big boss trader who loved charts, though, did make money. But he seemed to make decisions based on a lot more than just charts. He would call 10 or 20 different people every day, get their input in the morning, see how people are positioned etc. So he had a lot more information to make decisions than just lines on a chart. If you locked him in a room by himself and made him trade just off the charts with no other information or input, I doubt he would have made the returns that he had. Also, at the time, people who had impressive long term returns were funds like Tiger, Steinhardt, Soros etc. Those were the funds that put up big figures for decades. Technical-based CTA’s existed too, but they seemed to come and go; there really was no equivalent of Soros or Steinhardt in that area. Soros is a macro trader, but he is very fundamentals based; not really a technician. Of course, then there is Warren Buffett and his “Superinvestors of Graham-and-Doddsville”. If you’ve never read this essay before, please read it. It’s free; just click the link. It may be the most important essay ever written in the world of investing. Again, where are the superinvestors of Edwards-and-Mageeville? But the Fundamental Guys are Wrong Too! And all of this inevitably leads to the argument that the fundamentals based investors are frequently wrong too. Most mutual funds underperform. Economists are often wrong. Wall Street analyst estimates are no better than random. Well, yes, this is all true. First let me just give some excuses. Most mutual funds underperform, I think, because most mutual funds are asset gatherers, not asset managers. There is more money to be made by gathering assets and getting too large to outperform than by staying small enough to outperform. Having said that, asset managers in aggregate, can’t all outperform. This is not Lake Wobegan. We can’t all be above average. All investors are the market, and less fees, they will underperform. Wall Street Analysts are Often Wrong! This is also true, I suppose. I have seen studies that show how worthless analysts estimates are. The problem here, though, is that Wall Street has to always have an opinion on all stocks at all times. If you are a stock analyst, you have to have a buy, hold or sell recommendation. You can’t say, “I don’t know”. Investors have the luxury of saying, “I have no idea” and can move on to the next idea. Too, analysts have to come up with earnings estimates on a quarterly basis, and they are evaluated on their accuracy. Again, most long-term investors don’t really care about earnings on a quarter-to-quarter basis, which can be really noisy and random. But Wall Street analysts must have an estimate no matter how random it is. Think of it this way. Let’s say you are a baseball analyst in charge of predicting batters’ performances. Your job is, every time a batter steps up to the plate, to guess if he will hit a single, double, triple, walk or strikeout (or whatever). What are the chances that you will guess these things correctly over time? That is like the Wall Street analyst’s job of predicting earnings every quarter. All a long term investor needs to do is to figure out what the current batter’s average will be over the next few seasons. Will this 0.300 hitter be a 0.300 hitter next year and the year after that? That is much easier to predict than what a batter will do on each at bat. I know people who swear by charts, especially people in FX, bonds and commodities. Locals/floor traders and day traders too often seem to love charts. For people who make money off of chart reading, that’s great (Steve Cohen of SAC/Point72 was known to be a ‘tape reader’ in the early days and probably still does a lot of technical stuff). 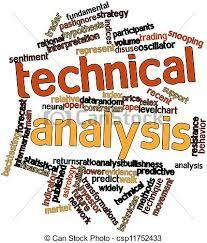 But for me, I just haven’t really seen any good evidence of the usefulness of technical analysis. I spent many hours trying to find it. And keep in mind that I used to love charts and was an active, professional chartist/technician working for a major investment bank early in my career. This is just how my thinking has evolved over the years. This entry was posted in Risk Management, Uncategorized and tagged Technical Analysis. Bookmark the permalink. Pingback: What I’m reading ~ 5/1/2017 – What I learned today! Aren’t some of the guys in “Market Wizards” as well as Jesse Livermore from Reminiscences of a Stock Operator, technical traders? It does seem like they at the very least use charts. Also frequently see charts on this site as part of an argument. Am I missing something, or can charts help if there is fundamental analysis? How to think about prices. The problem becomes when you believe that charts can scientifically predict FUTURE prices. I present charts to show the history of a particular stock or commodity in relation to the “fundamentals” or news. Take a two or three year decline in a stock price where the news becomes increasingly bearish/bad but prices slow their decline or stop declining–PERHAPS a sign that price is DISCOUNTING current and FUTURE bad news. Along with the financial strength of the company it MAY be giving an investor an opportunity. But no chart formation has EVER been predictive. Head and Shoulder, flag, pennants, etc are fanatasy. What is worse believing you can predict the unpredictable or believing someone else can? Jessie Livermore is not a technical trader. I bet you that. It only takes to pick up his book, and read last chapters. HE TALKS ABOUT VALUE. So how does a trader talk about value ? Not only that, he talks about his best trades, which in fact, happened while he was ‘patient’. I once believed that astrology has my love life planned. Guess what. I stayed single. I too search for the “PERFECT” woman. I met kind and beautiful and rich women, but never all in one until after twenty years, I found the perfect one. FINALLY! The ONLY problem—SHE wanted the “PERFECT” man. I am not a chartist in any way, but I do think there’s good evidence for the momentum effect – stocks that have outperformed in the last year continue to do so. In fact, this effect is supposedly about as robust as the ‘value’ effect. Would you consider momentum investing a form of technical analysis? No, I think it has to do more with behavioral / psychological aspects of investing. A chart can be used as a TOOL to implement momentum investing, but that is different than charts being able to predict or project. A great book to read is THE NEW FINANCE:THE CASE AGAINST EFFICIENT MARKETS by Robert Haugen. There is a strong and persuasive case for a noisy7 stock market that OVERREACTS to past records of success and failure on the part of business firms, and prices with great IMPRECISION. So, in general, prices tend to over-react to success or failure (momentum) but in the “longer-term” prices face reversion to the mean.